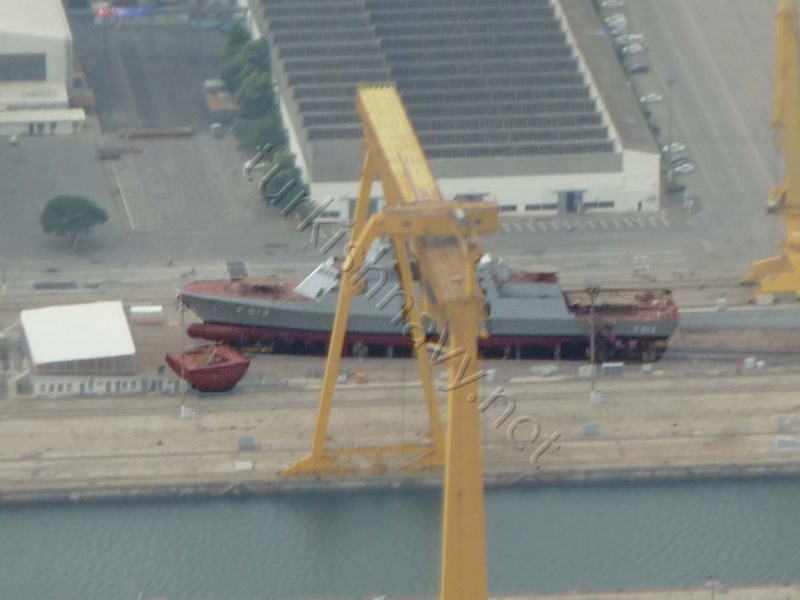 TCG Burgazada on the slipway ready to be launched. 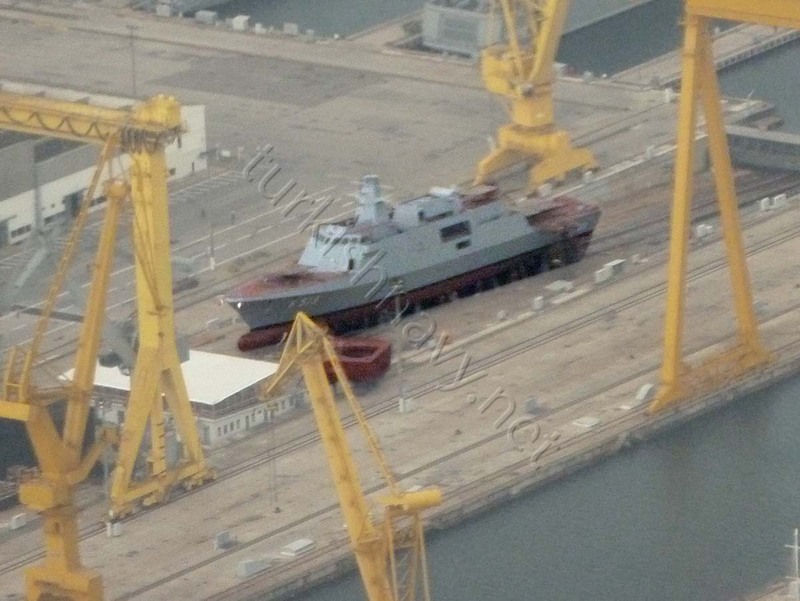 The first section of TCG Kınalıada is already assembled and is ready to be put on the slipway. This photo was taken earlier this week. Same scene from a slightly different angle. Today the third ship of Ada class, TCG Burgazada was launched in Istanbul Naval Shipyard and the keel laying ceremony for the fourth ship TCG Kınalıada was conducted. The construction of TCG Burgazada started on 27 September 2013. For the previous two ships, Istanbul Naval Shipyard needed 3 years from the start of the construction till launching. However the shipyard was able to shorten the construction time of TCG Burgazada by 100 days. These two ships, together with the previous pair will constitute Ada class. During the launching ceremony the Commander of Turkish Naval Forces, Admiral Bülent Bostanoğlu said that the planned construction time for TCG Kınalıada will be 8 months shorter. He also noted that the second batch of four ships will be constructed in İ class configuration. The construction of the fifth ship, named TCG İstanbul, will start in January 2017. These ships are scheduled to be commissioned between 2021 and 2024. A NEW TURKISH NAVY SHIP IS LAUNCHED TO THE SEA. THE “TCG- BURGAZADA. GOOD LUCK.